Check out highlights from this year's record-breaking The Car Wash Show. 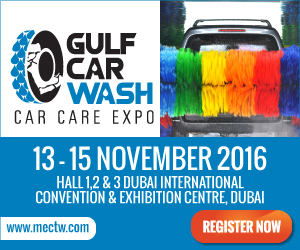 Visit http://carwash.org/thecarwashshow/video/2016-car-wash-network-at-the-car-wash-show to view the full article online. technology and an environmentally conscious water reclamation system. 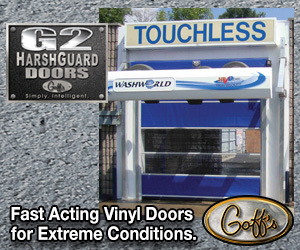 Visit http://www.carwash.org/news-landing/2016/05/11/crew-carwash-to-open-28th-location-in-indiana to view the full article online. Mister Car Wash has completed the acquisition of a Sweetwater Carwash located near the intersection of Florida’s Turnpike and 429 west of Orlando. Visit http://mistercarwash.com/wp-content/uploads/2016/02/MCW-Adds-15th-Florida-Location-with-Sweetwater-Acqusition-5.4.16.pdf to view the full article online. The woman's Honda sedan was in nice condition but had left the assembly line nearly a decade earlier. In front of the Accord was a Tesla Model S, and behind it was a Porsche Macan – both much newer and far pricier automobiles. 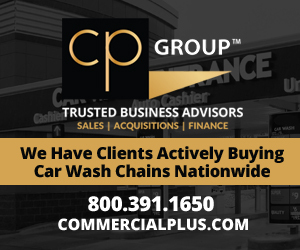 Visit http://www.mycentraljersey.com/story/money/business/2016/05/04/bernardsville-car-wash/83389950/ to view the full article online. You could call the Tri-Cities the capital of car washes. There are plenty of options across town, whether you're going for the basic, deluxe or supreme service. 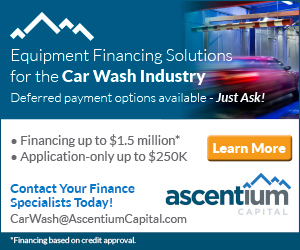 Visit http://www.kvewtv.com/article/2016/may/05/tri-cities-car-washes-boom/ to view the full article online. Glenwood Carwash celebrated its 50th anniversary April 29, in conjunction with the Community Clean-Up. Even as the rain poured, owner Joe Pippenger was undaunted, offering free carwashes, cleaning products and keychains to his loyal clientele. Visit http://www.clearwatertribune.com/news/top_stories/a-golden-anniversary-for-glenwood-carwash/article_47d21ce0-1226-11e6-9248-4be3ce82feee.html to view the full article online. An entrepreneur’s day is busy, chaotic and exhausting. On most days, you feel like all of the hours and effort you put into your business are worth it. But running a business – especially a startup – can often feel like riding a roller-coaster. There are days when you probably find yourself wondering whether you’re crazy trying to build something new. During those low points, many people fall into the awful trap of complaining. Visit http://blog.crowdspring.com/2016/05/entrepreneurs-who-complain-are-setting-themselves-up-for-failure/ to view the full article online. Whether you're telling the truth or lying, these gestures send an unconscious signal telling others not to believe you. If you want to be trusted, practice avoiding them. Visit http://www.inc.com/minda-zetlin/ss/16-body-language-mistakes-that-make-people-distrust-you.html to view the full article online. Salma Jafri's business philosophy is that people should work smarter, not harder. And you can apply that ethic when you want to market your business on a zero-dollar budget with very little time on your hands. Visit https://www.entrepreneur.com/video/275453 to view the full article online. It’s going to happen. Someone’s going to have a bad experience with your brand and head directly to social media to complain about it. Far too many brands either ignore the comment or, worse, delete it entirely. Visit http://www.theglobeandmail.com/report-on-business/small-business/sb-marketing/what-to-do-when-someone-trashes-your-company-online/article28306523/ to view the full article online. 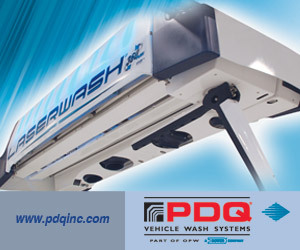 Celebrating its 50th year manufacturing car wash systems, Mark VII Equipment Inc., the North America subsidiary of WashTec AG of Germany, the world's largest manufacturer of vehicle cleaning systems, today announced four product innovations at the International Carwash Association's annual event. 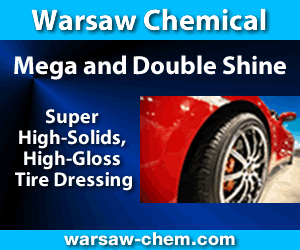 Visit http://www.carwash.org/news-landing/2016/05/11/supplier-news-mark-vii-launches-four-new-product-innovations-at-the-car-wash-show-2016 to view the full article online.